A new Diesel Outboard from Cox Powertrain is a real game changer. Introducing the Cox Diesel Outboard CXO300. Several years ago, I was touring a superyacht with an enormous tender garage. One of the tenders was an Intrepid center console. But instead of the customary outboard engines, the Intrepid was powered with an inboard diesel engine. This was so it could be refueled directly from the superyacht rather than have to carry separate fuel tanks. At that time, outboard diesel engines were nonexistent. That’s no longer be the case. Come November, one of the marine industry’s most talked about engine developments comes to fruition: the Cox Diesel Outboard CXO300. Cox Powertrain, a British diesel engine innovator, has for the last decade followed an intense development program to launch a high-powered, 300-horsepower diesel outboard. Their game-changing CXO300 is the world’s highest power density diesel outboard engine. And it looks to completely shake up the U.S. recreational boating market this year. The British company initially won a contract from the British Ministry of Defence (MoD) to develop a new concept diesel outboard for use on its fast response navy vessels. The final engine concept is based on a 4-stroke, V8 architecture that offers users higher fuel efficiency, greater range, higher torque, and a substantial total cost of ownership advantages. According to the manufacturer, the CXO300 has 100 percent higher peak torque at the crankshaft than the leading gasoline 300-hp outboards and 60 percent higher when compared with a leading 350-hp; this difference is amplified when looking below the mid-range rpm. The increased low-end torque will push heavy loaded hulls through rough waters with less strain on the engine and improve even further the fuel performance in comparison to similar gasoline outboards that are notorious for their lack of low-end torque. Larger vessels will also benefit from the higher torque curves both at the low end and the high end. This translates to the customer in the form of cost advantages. For instance, where you traditionally might use a quad 300-hp installation or triple 350s, you can now operate with triple CXO300s and enjoy fuel savings at the same cruise speed. The engine offers fuel savings of approximately 25 percent in comparison to a similar 300-hp gasoline outboard. Therefore, allowing boaters to go that much further. It’s predicted that only about 10 percent of Cox’s engines will be single installations with most craft having multiple installations. As a result, Cox will be offering three lower unit lengths (25-,30- and 35-inch) and full joystick capabilities with DPS, GPS and cruise control. For such an investment to be a success and to build and maintain trust with its customers, Cox knows that its unique diesel engine concept must ultimately be supported by the highest quality sales and service network. “Over the last two years, we have worked really hard to create a premium global network of distributors. They are some of the world’s most prominent marine diesel specialists. Our U.S. distributor reach is vital, so we have made very strong and strategic appointments in key selling areas such as Florida, South Carolina, Texas, Louisiana, New Jersey, California, Massachusetts, and Canada. We want to make sure that customers receive a service experience that goes way beyond their expectations. 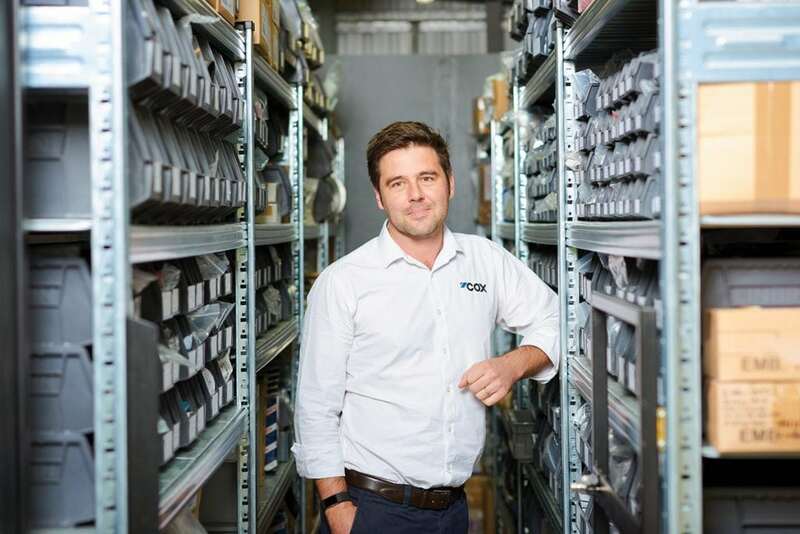 It’s what makes us stand out from our competitors and truly make Cox the iconic brand that it deserves to be,” says Reid. The CXO300 will retail for $50,000. However, users could save up to 45 percent on the lifespan of the outboard. That’s based on heavy use of 6,000 hours with an overhaul at 3,000 hours. Diesel outboards have up to three times the lifespan of their gasoline counterparts. For more information and a list of U.S. distributors visit coxmarine.com.